Research ICT Africa, in collaboration with NEPAD Agency (e-Africa programme) and supported by a research grant from the Center for Global Communications Studies at the Annenberg School for Communications, UPENN, has entered a new phase of its research on mapping multistakeholder participation in internet governance in Africa. The main goal of the research is to provide evidence for policy action in support of an effective and meaningful involvement of African stakeholders in internet governance processes. The research, which is located in the political economy of Africa, provides a critical review of the main internet governance structures and processes. From this African perspective it intends to identify the participatory gaps in current internet governance processes. One of the ways in which it will do this is by conducting a systematic and comprehensive reconstruction of African participation in internet governance processes and institutions through a continent-wide online survey that is delivered to key national, regional, continental, and international respondents who have been involved in internet governance issues from an African perspective. Specifically, the survey investigates what respondents have tried to achieve in terms of enabling or constraining the development of an open internet and what has been the level and effectiveness of participation of African stakeholders in these debates. 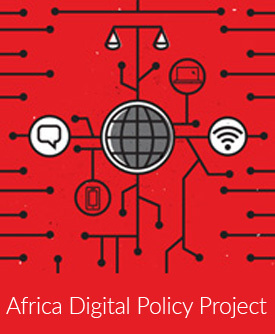 The survey is delivered to a purposefully sampled group of respondents who have or should have been involved in internet governance and internet policy-making and regulation in Africa. Answers are collected from all the stakeholder groups as currently identified by the literature and practice on internet governance, i.e. public sector including international and regional intergovernmental organisations, governments and regulatory agencies; private companies; civil society organisations and NGOs; universities and technical community; and individuals. Research results are analysed through the lens of an internet ecosystem as it manifests itself in Africa, which, although technically is based on similar standards and protocols developed by technical international bodies such as the IETF and the W3C – generally with low participation of African stakeholders – is characterised by lack or under-utilisation of physical resources such as IXP, dearth of local content, and an irrelevant number of domain names registrars serving an absent or nascent internet industry. In many African countries, regulatory independence is limited by fragile democratic states or authoritarian regimes. Studies conducted by RIA in this domain have been measuring the poor outcome of the ineffectual interplay between governments, regulatory agencies, and markets, which has resulted in low level of access to the internet, high prices and poor quality of broadband services, constraining the potential of the internet to contribute to economic growth, development and innovation. The questionnaire, which has been canvassed with different stakeholders, is structured around different topics deemed relevant when discussing internet governance issues from an African perspective. The first set of questions seeks to understand what are the most pressing and relevant internet governance issues from Africa. Globally, epistemic communities have developed norms and “best practices” which are then introduced to developing countries mostly through capacity building and technical assistance by multilateral organisations. Although a globally accepted and ratified human rights framework is used as a standard for internet-policy making to address issues such as privacy protection and free flow of information or freedom of expression, the “best practice” model based on Western values from mature democracies often collides with the political economy of fragile African democratic states and under-resourced institutional arrangements, which often lack necessary technical skills and financial resources to effectively implement reforms. Therefore, independently from what has been codified as “best practice”, the questionnaire asks African stakeholders what the most relevant and important internet governance topics for African citizens and stakeholders are with regard to content regulation, intellectual property protection, cybercrime and cybersecurity, in addition to issues specifically related to development aspects such as affordable access to reasonable quality broadband, ICT for development, protection of human rights, gender and equality. The internet governance landscape is characterised by many organisations, processes and networks dealing with different aspects of the internet ecosystem, from technical coordination of critical internet resources, to advocacy for the protection of human rights in the cyberspace. As the internet grows and expands, also the portfolio of policies and activities of these organisations, networks, and processes expand. For instance, the ITU which has been traditionally in charge of setting technical standards for the interoperability and interconnection of telecommunications networks, has been gradually entering the internet regulation domain through the development of guidelines on cybersecurity regulation. Therefore, the survey seeks to investigate what are the most effective organisations, forums, and processes to represent and address pressing internet governance issues from an African perspective. Then, for each organisation, forum and process the questionnaire explores what have been the tangible outcomes that they have been able to accomplish. Also, it assesses the effectiveness of these bodies and organisations in making decisions and their capacity of reaching an agreement in areas of internet governance in which they have a mandate. As one of the main concerns in global governance from an African perspective is the over-representation of government organisations in formal UN and multilateral agencies and their poor participation in many multistakeholder processes, the survey seeks to gauge not only what is the real level of representation of different stakeholder groups in internet governance fora, but also to investigates what the obstacles hindering effective participation in internet governance processes and debates are. On the other hand, for each organisation, process or internet governance forum the questionnaire aims at measuring the level of effectiveness in dealing with internet governance issues, such as providing a platform to discuss data or research on internet policy; advocating for internet rights; developing internet technical standards and protocols; regulating internet content or providing technical support on internet content regulation; regulating cybersecurity and cybercrime or the capacity to provide technical support on it; developing and implementing internet for development programmes and projects; and the capacity to influence internet policies. Open questions in the last section of the questionnaire examine more broadly the concept of multistakeholder participation from an African perspective and the meaning of ‘multistakeholderism’ in the current internet governance discourse. Questions enquire to what extent are multistakeholder processes practiced, feasible or applicable in existing (internet) governance and policy structures in Africa. And last, respondents are invited to devise concrete solutions asking what improvements are needed to existing structures or processes to strengthen Africa’s internet governance ecosystem and make multistakeholder processes more inclusive and effective. Readers who would like to participate to the survey, or use the questionnaire for different research purposes, are welcome to acquire a copy of the questionnaire at ecalandro [at] researchictafrica [dot] net, indicating their affiliation and preferably their involvement in internet governance issues from an Africa perspective.